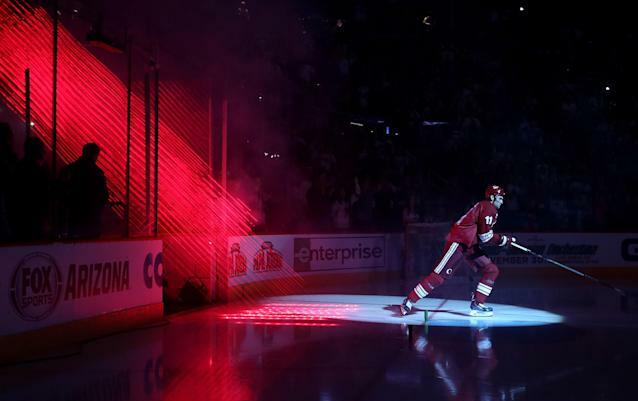 Phoenix (AFP) - The Arizona Coyotes will have a new owner after Andrew Barroway, an investment firm manager, struck a deal to buy a majority interest in the National Hockey League team. IceArizona, which bought the once-bankrupt club from the NHL in August of last year, announced early Saturday it was selling 51 percent of the team to Barroway and retaining a minority stake. Canada's TSN sports network reported the deal was worth $155 million (122 million euros). Barroway attempted to buy the New Jersey Devils two years ago and the New York Islanders earlier this year but neither time could strike a deal. "This is truly a dream come true," Barroway said. "I'm extraordinarily grateful for the opportunity of a lifetime. "Our collective goal is to put a competitive team on the ice every season and one day win the Stanley Cup." Barroway, whose purchase must still be approved by NHL team owners, takes over a team that reportedly has an out clause in its lease that would allow the Coyotes to relocate if they lose $50 million over a five-year span ending in 2018. The Coyotes deny reports they lost $24 million last season, but such talk has sparked reports they are a candidate to relocate to Las Vegas, where a new arena is under construction.